We thought coasters were a silly idea until we actually engraved them –then we were sold! The set comes with four coasters, as well as a container for them. Coasters are 4″ x 4″. 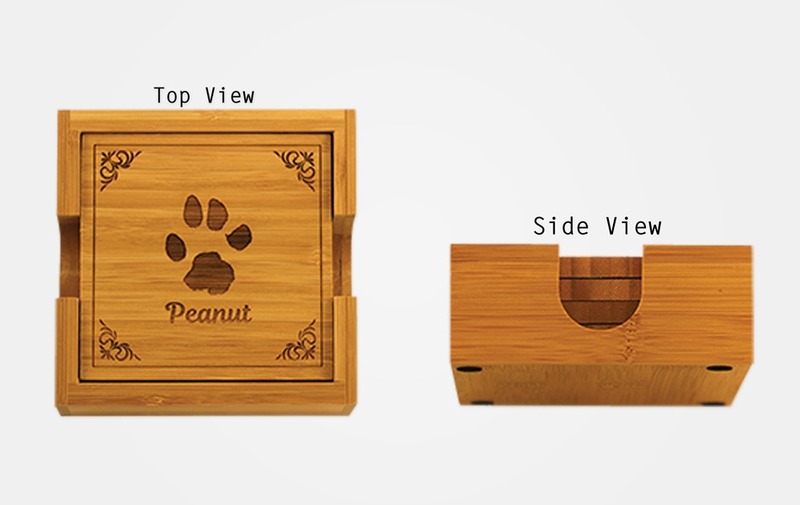 They’re a great conversation piece to remember all the wonderful stories you shared with your pet. They can be engraved with or without the name.